The ‘general’ or ‘catholic’ epistles are a group of texts within the New Testament consisting of the epistles of James, 1 and 2 Peter, 1, 2, and 3 John, and Jude. These are a group of texts which are too often neglected for several reasons. They are relatively short texts, which means though they are part of the Orthodox lectionary, they tend to be moved through very quickly, and mostly on weekdays in the regular lectionary cycle. While the Pauline epistles share a common background and theological purpose, the general epistles are extremely eclectic. James, for example, has little in common with the others. Based on biographical information in the Acts of the Apostles and his own biographical comments in the epistles, there is a great deal more information known about the place and time of origin, and the original recipients, of St. Paul’s epistles than can be known for certain about any of the general epistles. The name ‘general epistles’ is derived from this fact, that these epistles have no clear addressee. The term ‘catholic epistles’ is making a more positive claim, that the reason for this lack of addressee is that these epistles are directed to the church as a whole. While St. Paul frequently utilizes extra-Biblical traditions in his epistles, this use of sources beyond what would become the Christian Old Testament becomes even more obvious in the general epistles because of their brevity, with the Epistles of Peter and Jude referencing and even citing not only 1 Enoch, but Jude possibly also citing the Assumption of Moses. This makes the interpretation and application of the general epistles more difficult than most other New Testament texts. Despite the diversity and eclecticism described above, the general epistles came together as a literary collection, a single unit, quite early in church history. The Pauline epistles came together and began to circulate as a collection very early, c. 100 AD. This collection happened so quickly that every existing manuscript of St. Paul’s epistles is a manuscript of the collection, not of a letter circulating individually. 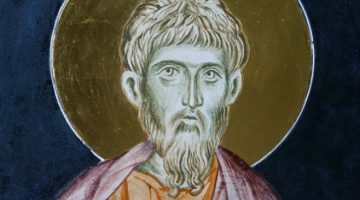 Through the testimony of St. Irenaeus and others, it is known that the four gospels had been collected as such into one unit by the middle of the second century, c. 150 AD. By roughly the same time in the middle of the second century, these disparate epistles had been collected together and were circulating together as the general epistles. St. Clement of Alexandria wrote a commentary on the collection late in the second century, through this commentary is not still extant. The general epistles did not circulate as widely as the other two collections, however, and was not used by every early Christian community. 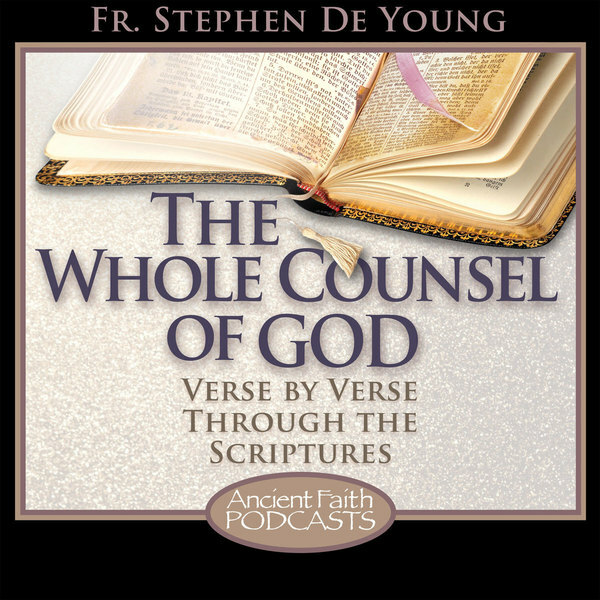 When, through interactions between communities, this collection was discovered by other churches, the clear similarities between 1 John and St. John’s Gospel, and the clear thematic connections between 1 Peter and other New Testament texts caused them to be quickly adopted by most churches, whereas the understanding and acceptance of the rest of the collection took more time. This is the dynamic which is referred to when they are sometimes described as ‘disputed books’. Adding to this are a series of anomalies in the general epistles. Much has been made about an apparent contradiction between James and the argument of Galatians and Romans. 1 and 2 Peter are written in very different Greek style, with 2 Peter being closer to Jude in both style and themes than 1 Peter. While 1 John has clear connections to St. John’s Gospel in both style and content, the connection to 2 and 3 John’s brief texts is less clear. For all of these reasons, addressing the Christology of the general epistles has to be a discussion of the individual epistles and their teaching, from which a consensus can be seen to develop. St. James’ epistle is unique on several levels. While the Pauline epistles speak of Christ primarily theologically, explaining the significance of who Christ is, and what Christ has accomplished in the cross and the resurrection, St. James teaches in a way which is redolent with the teachings of Christ in his earthly ministry. This is particularly clear when comparing the Epistle of St. James to the teaching sections of St. Matthew’s Gospel, such as the Sermon on the Mount. Even so, there is an assumed identity of the Lord Jesus Christ which St. James uses as a presupposition in order to argue for his case regarding how followers of Christ ought to live. One example of this comes in James 2:1. The title ‘Lord’ can be argued to be ambiguous. Though the Greek word ‘kyrios’ is used throughout the Greek of the Old Testament to replace the name ‘Yahweh’ of the God of Israel, it was also used in the Greek of the time to mean ‘sir’ or ‘master’. However, in James 2:1, St. James describes Jesus Christ not only as ‘Lord’, but as ‘the Lord of Glory’. This phrase, also used by St. Paul in 1 Cor 2:8, is grounded in the language of, for example, Psalm 24 which describes Yahweh, the God of Israel, or in the Greek, ‘the Lord’ as the ‘King of Glory’. St. James is using here the contrast between the life lived by Jesus Christ upon the earth and his identity as the Lord of Glory to argue that the wealthy must show similar humility within the Christian community. Another important text is James 5:7-11, in which St. James brings together the God of Israel who rewarded Job for his patience in suffering, the return of God to judge the earth, the identity of Christ as judge, and the return of Christ as one event with one agent. While St. James does not argue for the divine identity of Christ, his teaching presupposes it. The Epistles of Peter and Jude represent Christian teaching from the perspective of Second Temple Jewish communities grounded not in the Pharisaism of Palestinian Judaism, but in the larger Jewish tradition. While Palestinian Judaism, at least in its mainstream, was deeply grounded in the Torah and its understanding of righteousness through fulfillment of commandments, these three texts are grounded in the traditions of apocalyptic Judaism. These epistles understand the glorious appearance of Christ as an imminent reality in which the wicked, both among spirits and among men, will be judged. They understand the world and its systems of power and belief as being fundamental enemies of God, and therefore enemies of his people. They see the life of disciples of Christ as a radical call out of the world, and into a new reality of the kingdom within the church. All three of these texts draw upon the tradition of Enochic literature which clearly describes a ‘Son of Man’ figure, in line with Daniel’s vision, who is a second hypostasis of Yahweh, the God of Israel, and who is identified as the Messiah. It is unsurprising, then, that these texts identify Jesus Christ with this figure. In 1 Peter 1:10-12, St. Peter identifies the Holy Spirit received by followers of Christ in baptism as the same Spirit who indwelt the prophets of old. Rather than merely identifying that Spirit as the Spirit of God, however, St. Peter identifies it as ‘the Spirit of Christ’ (v. 11). 2 Peter 1:1 contains a very direct statement of Christ’s divinity, speaking of the righteousness of ‘our God and savior Jesus Christ’. It is then immediately followed, in 2 Peter 1:2, with a distinction made between ‘the knowledge of God and of Jesus our Lord’. This follows the pattern observed in the Pauline epistles of speaking of God the Father and Jesus Christ the Lord, while also identifying Christ as God. In verses 16-18, St. Peter further elaborates a trinitarian understanding in describing the Transfiguration. In addition to Christ shining with the glory of God the Father, St. Peter speaks of the ‘Majestic Glory’ which carried the voice of the Father, which phrasing he will later parallel in speaking of the scriptures being produced by men carried by the Holy Spirit (v. 21). The brief Epistle of Jude contains another very clear statement, identifying Jesus Christ as the ‘Angel of the Lord’ who led Israel out of Egypt and destroyed the disobedient (v. 5, cf. Ex 23:20, Jdg 2:1). Finally, the Johannine Epistles, 1 John in particular, as already mentioned, have clear affinities to St. John’s Gospel, which very clearly presents Christ as the God of Israel. 1 John develops the language of John 8 regarding the unity in faith of the Father and the Son (2:22-24). For St. John, the person of Jesus Christ is the true image of the Father who brings the knowledge of God, and eternal life uniquely (1 Jn 5:20-21). This understanding of the Father and the Son as two persons of the one godhead is also laid out clearly in 2 John. The one who does not remain in the teachings of Christ does not have God. The one who does remain in the teachings of Christ has both the Father and the Son (v. 9). Though the general epistles represent an eclectic collection of texts expressing apostolic Christianity, regarding their Christology, they are in unity with the Gospels and the Pauline epistles, teaching that Jesus Christ is the second hypostasis of Yahweh, the God of Israel, incarnate. Thank you again Father Stephen. Your teachings have definitely sparked an interest to learn more. I appreciate the opportunity!